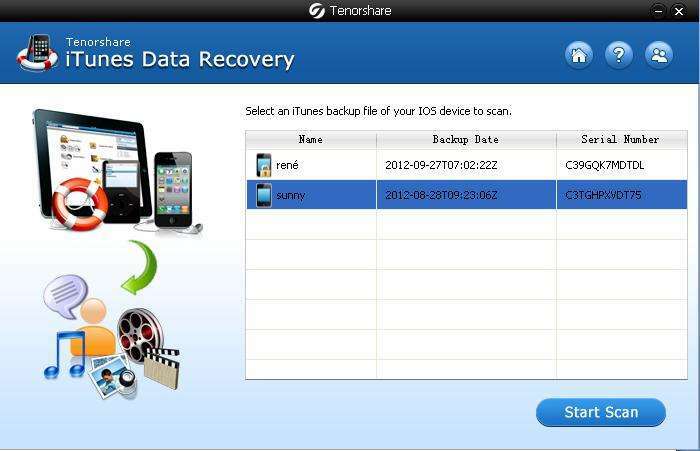 How to Use iTunes Data Recovery? Deleted photos on your iPhone by mistake? Or restore your iPod to factory settings and wipe all data? Or lost files on your iPad after upgrading iOS? If these are the cases, use iTunes Data Recovery. iTunes Data Recovery is specially tailor for Windows users to recover deleted, lost contacts, SMS, call history, photos, notes and more other data from iPhone, iPod and iPad. With only 3 steps, you can finish the task. 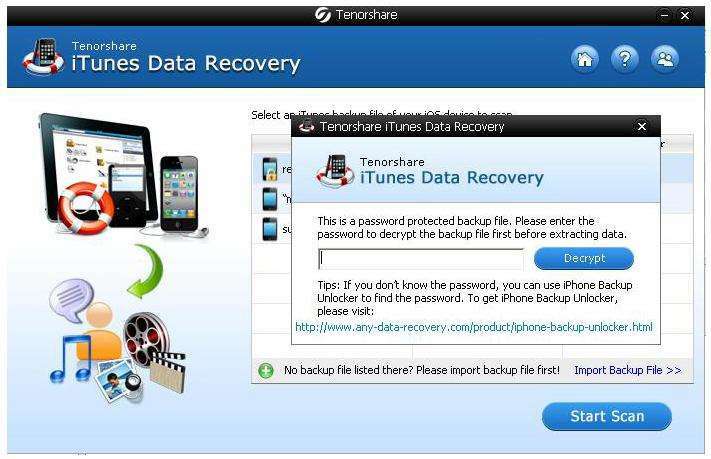 Here are the steps on how to recover data from iTunes backup files. After download and install iTunes Data Recovery, launch it and it will automatically detect and find all iTunes backup files. You will get a list of all the Apple devices which synced with iTunes before (no need to open iTunes). Select the one on which you lost files, and click "Start Scan". Note: If this program doesn't detect your device, you can import the backup file manually. For encrypted iTunes backup of your device, you need to enter the password and click "Decrypt" in the popup window. If you forgot iTunes backup password, use iPhone Backup Unlocker to find lost password first and then extract files from iTunes backup. You will get a list of all recoverable files which are categorized by media type: contacts, call history, SMS, photos, notes and more. Browse the files in each category by highlighting the type, and preview them on the left pane. After you selected all the files you need to recover, click "Recover". A window pops up to ask you to name and specify a destination folder for the recovered files. Sounds Good? 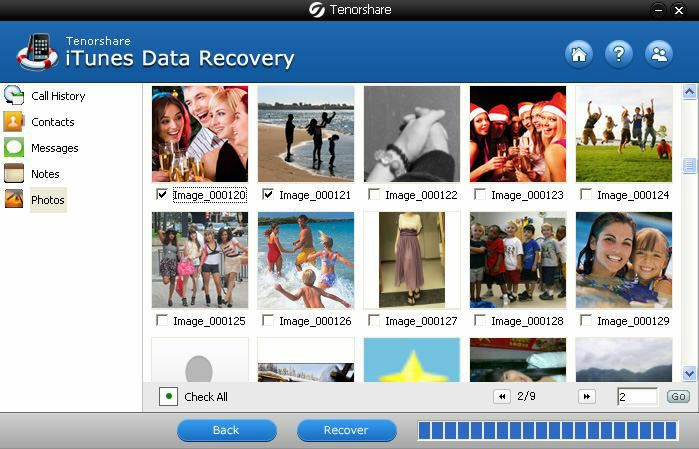 Get " iTnues Data Recovery " Now!